As the hardworking staff has noted on multiple occasions, the New York Times has for the past several years been casting hither and yon for new sources of revenue. • Also . . . Times Wine Club, Times Talks, Times School, Times Crosswords, everything but Times Tables. 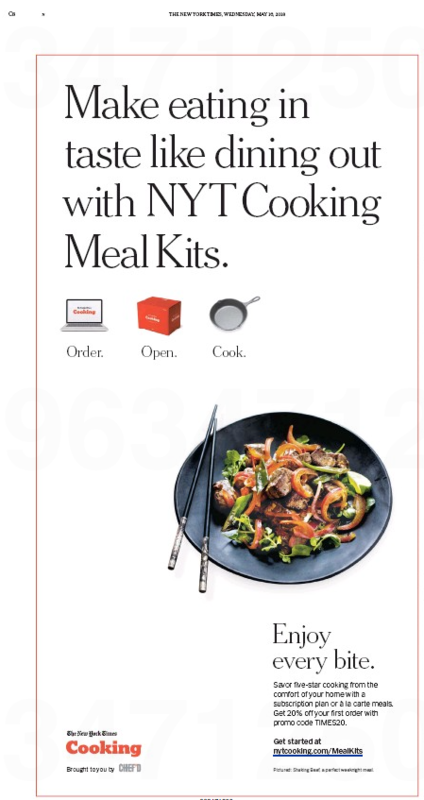 So it’s no surprise that the Grey Lady has cooked up a new offering – Meal Kits, as presented in this full-page ad. Given the widespread popularity of the Times Cooking app, this New York Times Cooking Meal Plan looks to be, yes, a recipe for success. Campaign Outsider Sweepstakes: What will be the next thing the Times tries to monetize? Best guesstimate will receive a dedicated post from the hardsweeping staff, which would, of course, be the dream of a lifetime for any of you splendid readers. This entry was posted in Uncategorized and tagged Around the World by Private Jet: Cultures in Transformation, New York Times Cooking Meal Plan, New York Times Wine Club, NYT Cooking, NYT Crosswords, The Canyons of the Southwest in Deep and in Depth, Times Journeys, Times School, Times Talks. Bookmark the permalink. 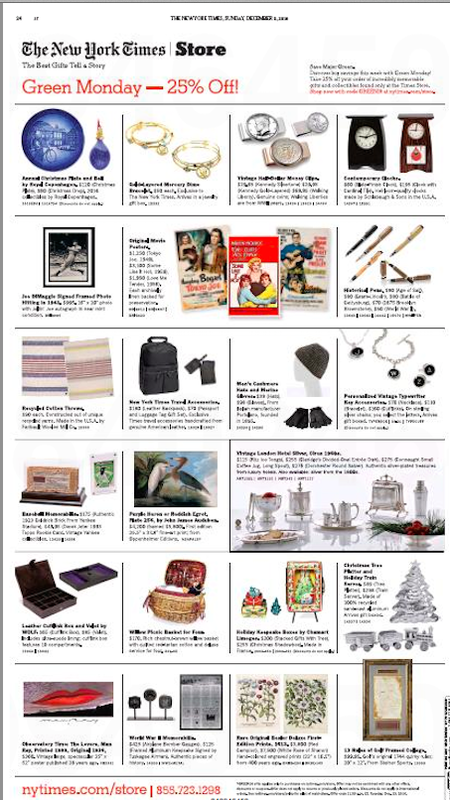 Makes a great gift for your bored friends! I should be horrified, but I’m intrigued. They don’t seem to have one of those “get the first box almost free” deals that all their competitors have, though. No such thing as a free dinner, Bob?